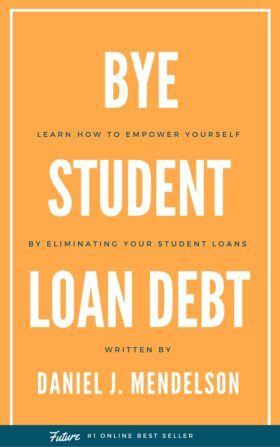 Learn How to Empower Yourself by Eliminating Your Student Loans. Book available NOW in Apple & Kindle stores now! Step-by-step, the book takes you through how to budget, consolidate and eliminate your debt. Assess your current situation by getting all documents in one location. Create a manageable budget that you can live by. Set a goal that's reasonable and stick to it. Restructure and refinance your loans where it makes sense. Execute, manage and adjust until you eliminate your student loan debt. "Five years ago, Smith & Nephew's Daniel Mendelson and his wife, Meghan Jones, racked up more than $150,000 in combined student loan debt after seven years of post-secondary education." “It’s not rocket science, but I think there are millions of people who could benefit from this story and following the plan..."
Dan is originally from Vermont and now currently lives in Memphis, TN where he has worked for a medical device company for 5 years. 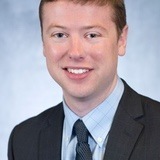 Before receiving his first grown up job, Dan received a Bachelors and Master's in Biomedical Engineering from the University of Rochester and a Master's in business from the University of Memphis, which concluded a 7 year academic career on only $10,000 in student loan debt. Dan's wife, Meghan, did the exact same schooling and walked away with over $110,000 in student loan debt! Together they had over $150,000 of debt (with interest), which provided the inspiration for this project - helping to get students out of their debt by sharing their story and simple steps to free student's of their debt burden. © 2017 BYE Student Debt LLC.